In today's economy, let's get back to a Christmas where it is all about family and fellowship not glitz and glamour. Let’s return Christmas to its original status. Gifts to warm the heart at family gatherings can be more cheerful than overdone light displays and extravagant giving. Inexpensive gifts will be less embarrassing to friends on a budget. An evening with family or friends who bring food can cut down the cost of entertaining. It can be therapeutic to laugh together as you economize. Try brightening the evening with a few candles and some music, using fewer Christmas lights. Make last year’s decorations do, or trade decorations with friends in another neighborhood. Start decorating a couple of days later, or leave the lights turned off for a few nights. When Christmas shopping, think sweaters, shawls, and blankets. Such practical gifts can help offset the high cost of home heating. Wait for deep discounts at high end stores or shop discount stores where they have warm items suitable for dogs and cats at affordable prices. Think about a new doggy bed or kitty tree as an economical gift; your pets and your dog-owning friends will love it! Free up your time by less shopping and fewer gifts. Spend that extra time with the ones you love, and in renewing old friendships. Knowing that you put a few dollars into the economy while turning down so many Chinese goods should give you some peace of mind. Enjoy public celebrations of the Holiday Season. Visit shut-ins and take a homemade sweet. Take treats to your local animal shelter. Go to a homeless shelter to uplift their spirits and your own. If you stop to enjoy the warmth of a smile, the laughter of a child, the wagging of a dog’s tail, or the soft purring of a cat, you will be filled with the love and peace of the Christmas season. Costing nothing, these Holiday gifts to yourself and to others are priceless. Bad economy? Sure, but when you’re giving of yourself, this could be the best Holiday Season of all. 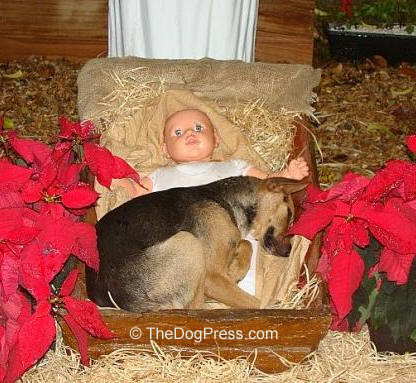 Keep your pet safe during the Christmas holidays and all year long! What's in your yard or home? 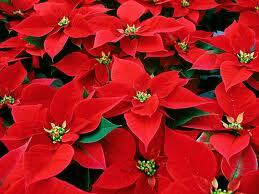 Photos & list of poisonous holiday plants. Judge says No ETHICAL dog breeder should sell a puppy to be a gift.